The voyage has been made. The sails have been furled. The anchor is set. Now is the time to sit back, relax, and enjoy one of the simple pleasures of voyaging in a small boat. Now is the time to enjoy the quiet anchorage. At times you are alone, at other times, other boats are in the anchorage, some times a fishing village is close by, just on shore, and some times, a short hike let’s you just admire the view of the anchorage from a hillside. The views and sounds in this video are the natural sights and sounds ONLY! If the boat moves, the picture moves (you may need Dramamine). This is as real as it can get without making the voyage yourself. This video is NOT a thrilling view of rail-in-the-water sailing. It does NOT show wiled fast moving sailing boats. It does NOT have a wonderful music track. It has no narration interrupting the background sounds. Nothing artificial has been added, it’s all natural! If you listen, you can even hear fish jump near the boat. Watch the sun rise over the Sea of Cortez from the small bay at Los Gatos on the Baja. Spend an afternoon in Agua Verde. Experience the fishing village at San Evaristo. Then spend an afternoon in Ensenada Grande, and Caleta Lobos. Finally, watch the sunset from the quiet anchorage of Santo Domingo, Bahia Conception, Baja Mexico. This video is similar in concept to the virtual fireplace, or virtual aquarium. for discussing those past or future distant destinations. 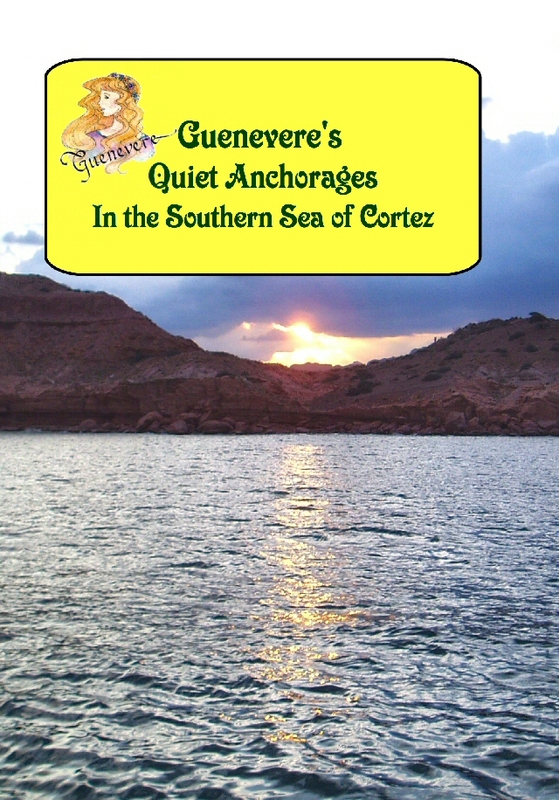 lets you share some quiet time with us in the Southern Sea of Cortez. This video can be purchased on a disk ($9.95), or downloaded. During our travels we have been taking a LOT of photos and videos. We were looking for a way to share some of the unbelievably wonderful and beautiful sights and scenery with some of our family and close friends. One day we met a gentleman in La Paz who had made a cruising video some years back and he suggested we look into doing one ourselves. So now, these videos are not only for our immediate family, we are now able to share them with you. We are NOT expert cruisers and these are not "how to" cruising videos. They only show how and where we have chosen to cruise. We hope you enjoy watching this video and find it enjoyable. If you do, please let us know by email, we would like to hear your thoughts.